FK chats to talented Elise of beautiful nature inspired label Elise Cameron-Smith. Debuting at the upcoming Sydney Markets! Tell us a bit about your label Elise Cameron-Smith and what we can expect to discover? I’m a Designer + Maker of Fine Furniture & Homewares. My aim is to really create beautiful pieces that remind us of our natural world. I’ve always been fascinated by nature, and as a surfer our beautiful coastlines and pristine oceans have always captured my imagination. I love being outdoors and so my whole thing is about inviting nature into our homes. I’ve always been into drawing which is what lead me to study design, I thought I’d end up as a graphic designer or illustrator. However I discovered the computer screen approach wasn’t really working for me because three dimensional form was really my thing. 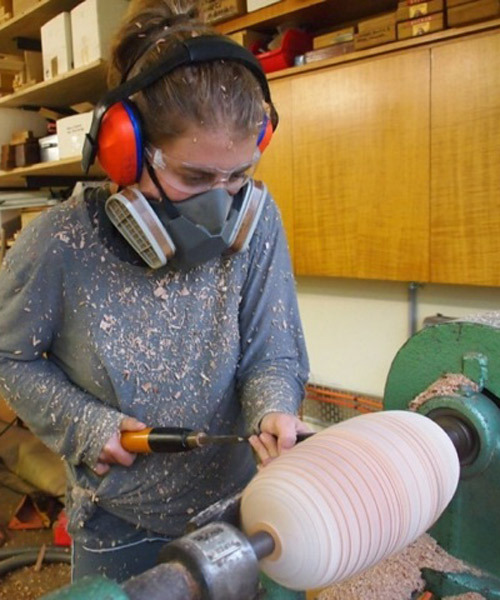 So in 2012 with absolutely no woodworking, making or machining experience at all, I enrolled at Sturt School For Wood to study Fine Furniture Making on a bit of a whim. It was the best decision I’ve ever made. What do you love about working with timber? and what keeps you creatively motivated? In my opinion, Timber is the most beautiful making resource we have on offer. Each and every board has it’s own unique spirit and story to tell. 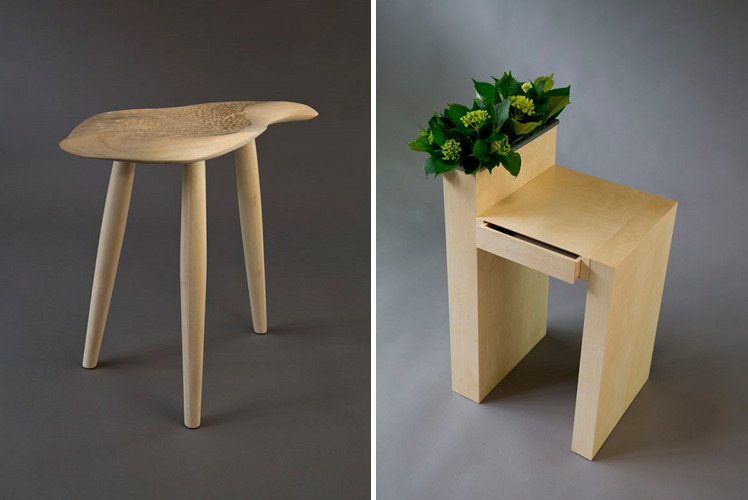 Timber has depth, and adds warmth to furniture. People always need to touch timber it’s so tactile. But timber is a natural product, and I believe it is so important to only provide sustainable choices as a Furniture Maker. Being a maker is not just a career but a whole lifestyle, you really can’t ever switch it off.. Your motivation really just comes from being totally obsessed with what you do. As a creative you always feel the need to learn more and improve. I work with an amazing furniture maker by the name of Leon Sadubin. He was my teacher last year at Sturt, and took me on this year as an apprentice. 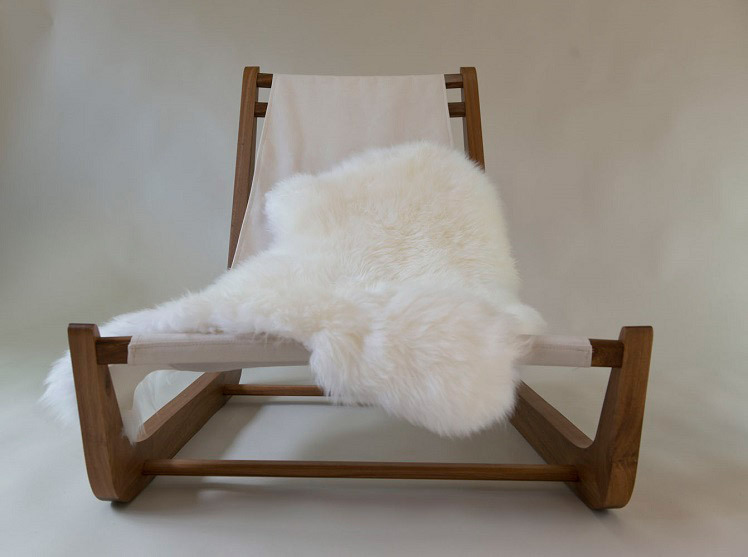 Another extremely talented maker Thirston Morris also works with us. We work out of Leon’s Gerringong workshop on the beautiful South Coast of New South Wales. It is so inspiring to work with these brilliant creative designer / makers. I’ve always been fascinated by nature, as a surfer our beautiful coastlines, pristine oceans have always captured my attention. Nature is a really strong element throughout all of my work. It’s always so challenging to go from the initial concept to construction, but that’s what I love about what I do. You constantly have to push yourself and problem solve and refine at every stage to finish with a fantastic piece. I love being the designer and the maker, It’s really allowed me to develop my own approach and style. What can we expect to see from Elise Cameron-Smith at the upcoming Sydney Markets? I’ll be featuring my new range of ‘Totems’ at the up-coming Sydney Markets. 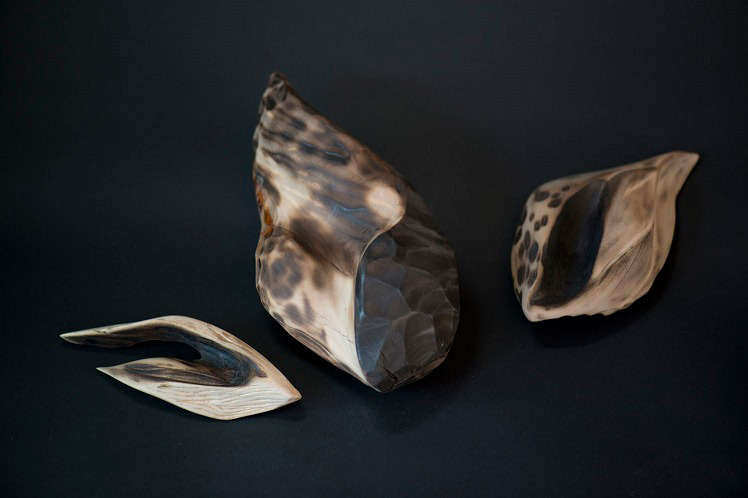 ‘Totems’ are sculptural organic forms that are totally handcrafted and individually unique. 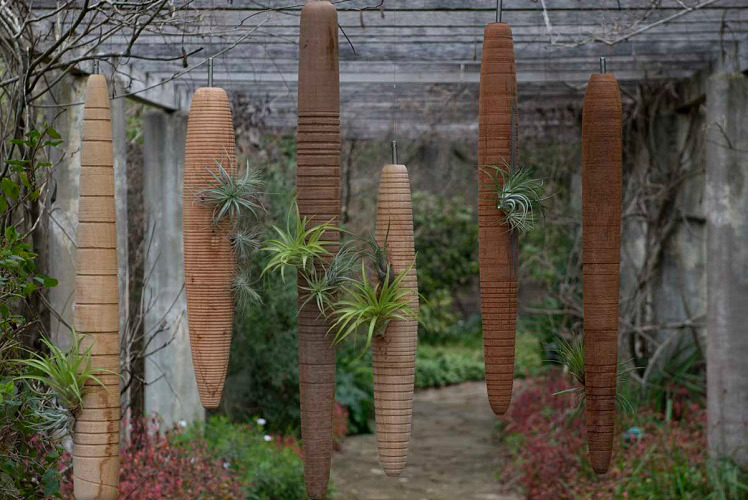 Totems consist of amazingly ornate real living air plants called Tillandsia’s and reclaimed timbers. 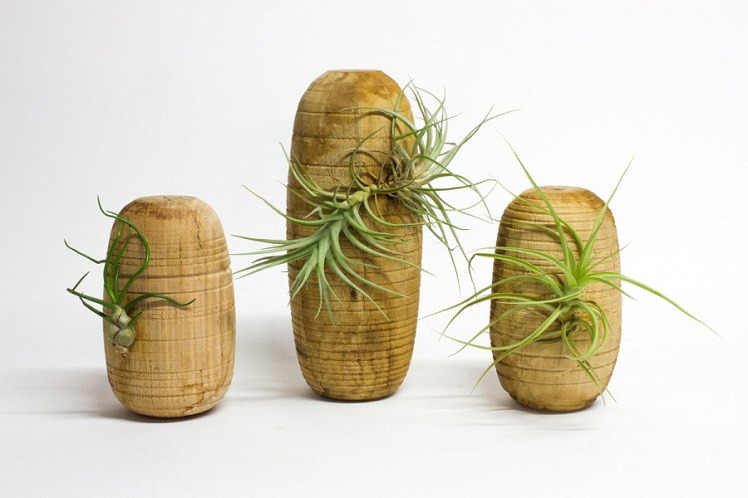 Tillandsia’s are a very special plant that can live without soil, absorbing water and nutrients through their delicate leaves, and supporting themselves via their roots. 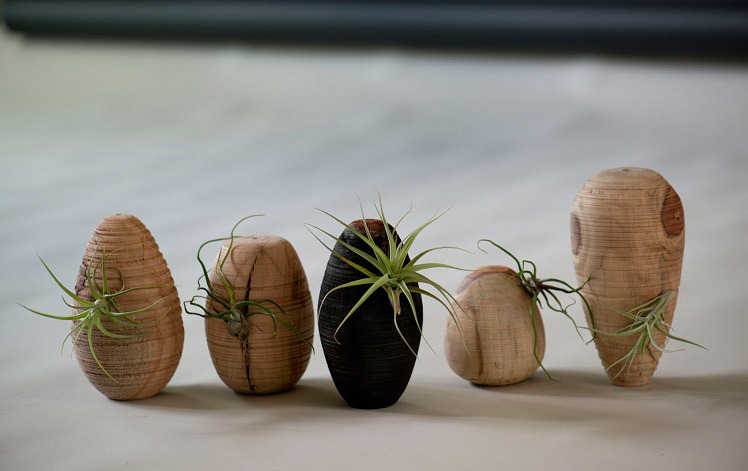 The timber is left textured and raw, often burnt to contrast with the soft greenery of the Tillandsia’s. My ‘Totems’ were featured in the December 2013 Australian House & Garden Magazines Style Awards for outdoor design. do u have the pricelist for those hanging things I think they arr totems? & the flower pot kind of things?